Chef Pascal Caffet and zChocolat have combined their knowledge and expertise to provide high quality, delicious French Chocolates on an easy to use website. zChocolat takes chocolate gift giving to the highest, most impressive level. The selection is amazing with your choice of white, dark or milk chocolate treats made with the best ingredients. The zChocolat collection of chocolates combine with Valencia almonds, Piedmont hazelnuts, quality French butter and cream in the ganaches are world renowned. These are not your typical box of chocolates as you can expect caramels, pralines, Chocamandine, Orangettes, Pistachio-almond marzipan sprinkled with pieces of caramelized pistachios, passion fruit caramel, Venezuelan dark chocolate ganache, Hazelnut praline infused with coffee ganache, gifts catered to Valentine's Day with heart shaped chocolate and more. zChocolat is also unique in that it's made in the purest form, low in sugar, with no preservatives, no coloring, all natural ingredients, no alcohol and 100% pure cocoa butter. The selection of chocolates is significant and should meet anyone's needs. Assortments are available in 4, 9 and 15 chocolates depending on the product you choose. Boxes of 15 or greater can be customized to allow you to purchase exactly the chocolates you or your gift recipient like the most. We were also impressed with the boxes the chocolates are delivered in. The beautiful boxes are made of wood or other materials and can be engraved upon request - for a small fee. You may place your own picture or logo on the engraving as you prefer. This allows your gift to be even more personal, impressive and appreciated. The product may even been wrapped and will be placed in a draw string cotton pouch. Include a personal gift message if you like and you may ask to ship the gift now or later as needed. Delicious chocolates in beautiful boxes at zChocolat are not inexpensive, but they are worth it. zChocolat also has a great return policy and works to make all customers happy. They will replace the chocolates immediately if they are not delivered in perfect condition. zChocolat offers customers the opportunity to send a very impressive gift of the finest, most decadent chocolates available. 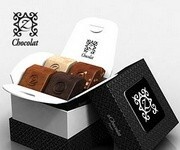 Housed in a beautiful box and pouch, anyone would be impressed if zChocolat's arrived at their door. If you are looking to really wow someone, we recommend you check out zChocolat. They earn our highest rating. Godiva Chocolatier has provided customers decadent Belgian chocolates since 1926. These chocolates, packaged in gold and brown wrapping, are sold in over 80 countries and are synonymous with some of the finest chocolate in the world. Shoppers will find a wide selection of chocolates, truffles and coffee when shopping online at Godiva. The Godiva website is organized by seasonal, truffles, gifts, business and more and is easy to navigate. Shoppers may further define their selection by price, type of chocolate, special value, collections and more detailed options to expedite their effort. For those specifically looking for a gift, a number of gift boxes and baskets exist that are organized by occasion. Godiva also allows the gift purchaser to select a ribbon to personalize the box or basket. While many of the selections are priced a little higher than other leading chocolate companies, you know with Godiva your gift is sure to leave an impression. In the event that your order does not arrive as promised, Godiva is there to make it right. Customers may call or email with concerns for a no hassle refund, exchange or replacement. Shipping is a little pricey and starts at $20.95 to insure their chocolates are delivered in perfect condition. For those looking to send a beautiful gift of delicious chocolates, Godiva is a great place to shop. Feel confident that your gift will arrive and impress those with the most discerning chocolate tastes. As one of the most recognizable brands in the boxed chocolates market, Russell Stover has something for just about everyone. Along with the equally-familiar Whitman brand (think yellow sampler boxes), Russell Stover is owned by the Lindt company, bringing quality and affordability to customers worldwide. What kinds of chocolates can you get at Russell Stover? While you won't find anything overly exotic or gourmet, you'll find an appealing selection of just about everything else. Whether you want milk or dark chocolate, sampler or single-flavor boxes, or you'd like to build your own gift box, the website makes it easy for you to find it. Use the search box, or simply click on the brand you prefer (Russell Stover or Whitman's) at the top of the page, where you'll get a dropdown menu of the available product categories. In addition to chocolates, you'll also find gift baskets (with or without plush animals), hard candies and jelly beans, brittle and chocolate bars, and an outlet for clearance items at a discount. Why buy your chocolates online from a brand that's available in most big-box stores? Besides being able to access a greater variety of chocolates - especially during times of the year that stores may run out, such as Valentine's Day and Mother's Day - Russell Stover's site offers a free Rewards Club. You can earn rewards points that are redeemable both online and at Russell Stover store locations; in addition, you'll hear about new products and get the opportunity to try them sooner than the average chocolate connoisseur. The easiest place to sign up for the Rewards Club Loyalty Program is by using the links at the bottom of the Russell Stover website. And, there are additional opportunities for savings. When we visited the site, there was a pop-up offering a 20% discount for signing up for their email updates. There was also a promotion featuring a 40% seasonal discount on select chocolates - no coupon code needed, as the savings appeared automatically during checkout. You can also get free standard shipping on orders of at least $25. Be aware, however, that when shipping chocolates during the summer or to locations that have higher year-round temperatures, you will likely be required to use second- or next-day shipping (because no one wants a box of melted chocolates). Russell Stover guarantees the freshness and quality of everything they sell. If you aren't completely satisfied with your chocolates, keep the unused portion and contact the company via email or toll-free number found in the Contact Us section of the site. If you're looking for a classic chocolate selection for yourself or for gift-giving, Russell Stover is a good place to shop. Simply Chocolate is a partner brand with Harry & David, a name you're likely to know if you're a gift-giving pro. If you don't want to sort through all of Harry & David's gift options, Simply Chocolate will help you focus on - you guessed it - just chocolate. Once you've chosen a category, it's easy to sort through your choices by price or according to Simply Chocolate's favorite items. The item descriptions are very thorough; you should be able to see exactly how many chocolates, truffles, or other treats are included in your purchase. Are you a frequent gift-giver? You may want to take a look at the Celebrations Passport: with a yearly fee of $29.99, it includes free shipping from a family of brands that include Cheryl's Cookies, 1-800-Flowers, and Harry & David. Otherwise, expect to pay quite a bit for shipping: for example, on a gift assortment that retails for $139.99, we were given a shipping cost of $18.99. You can see all of the shipping costs by clicking on the blue question mark icon as you begin the ordering process; delivery prices start at $4.99 and go up to 15% of your order total (for orders over $150). We love that the entire group of brands, including Simply Chocolate, reassures customers with a 100% satisfaction guarantee. If your chocolates don't come in perfectly delicious condition, their customer service department will work with you to make you happy. The only drawback that we found is that Simply Chocolate's prices are often considerably higher than the competition. For instance, many of the chocolates made by Vosges can be purchased directly from that retailer at a significant savings, even when factoring in Vosges' higher shipping costs. You'll want to shop around a bit, especially if your chocolate purchase includes a brand that may be sold elsewhere for less. You're almost certainly familiar with the Mars brand, from Mars Bars to M&Ms. But, did you know that the company has a "secret" gourmet brand? Ethel M is that brand, specializing in hand-packed, small-batch deluxe chocolates, pecan brittle, and even chocolate-dipped apples (in season). You'll pay a little more at Ethel M, even compared with other hand-crafted chocolatiers. For example, the least expensive design-your-own box is $39.99 plus shipping. Standard shipping will cost you $9.99 unless you're ordering $100+. The good news is that their "standard" shipping is 2-day and includes insulated mini-coolers with cold packs, to keep your chocolates unmelted. Ethel M's return policy left us feeling confused. On the one hand, they offer a 100% unconditional guarantee. But, on the Returns and Exchanges page, it mentions that "in some minor cases", returning merchandise may result in a 25% restocking or administrative fee. And, in that same section, it says that there are no returns accepted for unwanted products. On the positive side, Ethel M makes gift-giving easy, whether you want to send a gift box or prefer to let your recipient choose with a traditional or e-gift card. You can also click on the "Gift Shop" link at the top of the page, to see selections that are tailored towards specific gift-giving occasions. Customers also have good things to say about the quality of Ethel M chocolate, comparable to most fine chocolatiers. Although you won't find any truly exotic flavors or blends, the flavor and texture of Ethel M's truffles, sea salt caramels, and traditional sampler chocolates are worth trying if you've got a little extra to spend. Vosges Chocolate's exotic truffles are made from the finest ingredients offered around the world. Owner/Chocolatier, Katrina Markoff, personally chooses every spice, flower and chocolate that is flown into their Chicago kitchen. Markoff utilizes the original methods of French confectionery artistry which she learned during her training at Le Cordon Bleu in Paris. If you are unsatisfied in any way with any of their products, contact the customer service department and they will assist you in making your experience with Vosges positive. Several products have a short shelf life as a result of the fresh ingredients used in the products and lack of preservatives. Vosges uses bacon, cheese, peppers and other non traditional ingredients to make the selection more interesting and with a gourmet flare. The search functionality is a bit limited at this website. You may choose from the current holiday, gift ideas, truffles, bacon and chocolate, candy bars, comfort foods, corporate and gift boxes. If you are looking for a unique gift Vosges Chocolates delivers with gourmet flavors. Known as a San Francisco brand, Ghirardelli has been around for more than 100 years. Although their most recognizable chocolate is the traditional wrapped square, often filled with fruit or caramel, Ghirardelli carries a range of products on their website that you may not have seen in your local supermarket. If you're looking for chocolate as a gift, you'll want to look in the Gifts & Baskets section of the site. You'll find arrangements ranging from less than $10 to over $200. Personalized gift-giving options with Ghirardelli are fairly basic. You can choose from gift cards in four amounts, all with the same brown Ghirardelli-brand design; we would have liked to see cards with different themes for birthdays, wedding gifts, and so forth. You can also make a custom mix, but again, your options are limited: five designs of small tins that hold 15 Ghirardelli squares. One category you'll find at Ghirardelli that you probably won't get with other chocolate retailers online is a baking section. From unsweetened cocoa baking bars to brownie and cookie mixes, you may find a new favorite that you can't get at your local grocery store. Shipping fees at Ghirardelli are high. Unless they're running a promotion like the one we saw at the time of our review - $5 standard shipping with the given coupon code - you'll be spending at least $9.95 to send your chocolates via standard shipping. If you need to upgrade to 2-day, it'll cost you at least $19.95. On the other hand, you don't have to worry about the weather affecting your delivery: Ghirardelli automatically sends their chocolates in insulated cartons with iced gel packs when shipping during warm-weather months, at no extra charge. What about returns? That's a great question - one that we expected to find answered on the "Shipping & Returns" page. No such luck. We also didn't find any kind of satisfaction guarantee, unlike most of their competitors. This is surprising, given what a well-known brand Ghirardelli is. Probably the most compelling reason to buy from the Ghirardelli website, as opposed to shopping in person, is the frequent promotional discounts. If you click on the Promotion FAQs link at the bottom of the page, you can see if there are any current offers at the time of your order as well as any discounts they've offered in the past few months. For example, we found discounts of 20% on all caramel-filled chocolates, expedited shipping for certain holidays, and discounts of up to 25% on orders over $150. Although we love Ghirardelli chocolates, the company's online presence falls a little flat with high shipping rates, no return policy, and no guarantees of customer satisfaction. We'd like to see the business make some changes in that regard, making them more competitive with the other online chocolatiers in our review. Chocolate is based in Newport Beach, California and features artisanal, handmade chocolates from independent shops throughout the United States and Canada. The retailer seeks to promote small businesses, especially because their team of chocolate enthusiasts believes that the best sweets come from the smaller shops, not the big-name brands commonly known in the chocolate world. Once you select a category, it's easy to use the options on the left side of the page to narrow the chocolates down by price or by dietary need, such as nut-free or gluten-free. You'll find those same possibilities under the Dietary Treats heading; for example, if you know you need a list of just the products that are vegan or organic, you'll be able to see them all at once. The selection at Chocolate is vast, everything from a simple chocolate-dipped fortune cookie for less than a dollar, to a 200+ piece Valentine's assortment of gluten-free chocolates for over $300. We did notice that none of their categories included two of the most popular “candy holidays”, Halloween and Christmas, but Easter chocolates are sold year-round. Chocolate doesn't tell shoppers upfront what to expect in shipping costs, so you'll need to take a look based on your order. For example, an order with Black Velvet Cake Balls selling for $27 would incur shipping fees of $11 for Priority Mail and $33.60 for Priority Mail Express. Although the site claims that Chocolate is a member of the Better Business Bureau, the BBB website has not given the retailer accreditation; at the time of our review, Chocolate's rating was a B+. Why? There are some complaints that haven't been resolved to the customer's satisfaction; most of them say that there were issues with credit cards being charged for orders that either shipped considerably late or not at all, and that it was difficult to get any response from Chocolate. The “Contact Us” page only offers an online form or an email address, not a phone number for customers to get more direct help. So, what if you're not happy with your order? Can you get a refund or a replacement? You'll have to dig around in the Terms and Conditions to find it, but there is a guarantee of timely delivery and a 10-day return policy. But with customers reporting no response from Chocolate's customer service department after multiple emails, you may not get timely help if you encounter a problem. Hotel Chocolat is a UK based company specializing in exclusive chocolates. But, right away their noticeable lack of selection is a huge turn off. With only approximately 10 products to choose from this website is a disappointment. They do offer white, milk and dark chocolate items. But, the only thing that really caught our attention was a beautiful heart shaped chocolate milk and strawberry flavored item. Unfortunately, they were sold out weeks in advance of the holiday and the item cost $55.00. Searching through the website is simple at Hotel Chocolat, you may choose from filled chocolates and truffles, pure chocolate, cocoa cuisine, gifts, luxuries, corporate, or the next holiday. Within each category there is a small selection of products for your choosing. Take note that extra fees apply to packaging at Hotel Chocolate and their shipping was higher priced than some. In the event you are not satisfied with your purchase you may return for a full replacement or refund. Overall, we felt the website must be in the startup phase as a result of the serious lack of selection and inventory. If you are looking for quality chocolate from a company with a nice selection, to meet your needs, we recommend you shop a higher ranked provider.